Once again, we worked hard to put together an extensive list of the best casino bonuses available in August 2018. If you plan to play casino games in August, make sure you check out the promotions listed on this page. You can't find a casino bonus in August 2018 that beats the ones on our list. Read everything about the free money, free spins, and match bonuses you can get to play casino games in August. Don't forget to have a look at the requirements of each bonus - especially if you plan to cash out your winnings. Here's the list of the best casino bonuses available in August 2018. To help you get them, we added with everything you need to activate each promotion. From the latest bonus codes to the right link to get free money to play, everything is on the list below. If you need more information about the sites we featured or you want to know more details about the biggest casino bonuses, scroll down to find the full review of each casino bonus available in August. These Bonuses Are for US Players Only! Do you want to play legal online casino games with the best bonuses? Check out the list below and pick your favorite! Slotomania 10,000 Free Coins (No Deposit) Not Needed GET THE BONUS! House of Fun 1,000 Free Coins (No Deposit) Not Needed GET THE BONUS! 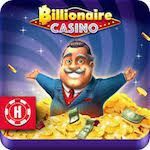 Billionaire Casino 10,000,000 Free Coins (No Deposit) Not Needed GET THE BONUS! Win Fun Casino 50,000 Free Coins (No Deposit) Not Needed GET THE BONUS! Chumba Casino $2 Free Bonus (No Deposit) Not Needed GET THE BONUS! Non-US Players: Get These Bonuses in August! Not Living in the United States? These bonuses are for you! If you don't live in the United States you can choose between all the bonuses in the list below. Remember: this is the list of the best casino bonuses you can get in August, meaning the bonuses you see there today might disappear at the month's end. Don't miss any of them! 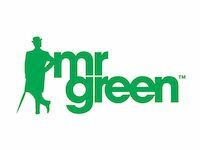 Mr. Green Casino €100 and 100 Free Spins Not Needed Activate NOW! King Billy Casino €2,000 and 200 Free Spins (See Table Below) Activate Now! Lord of the Spins €2,000 and 50 Free Spins Not Needed Activate Now! Casumo Casino 20 No Deposit Free Spins Not Needed Activate NOW! Mr. Bet 400% up to €1,500 Not Needed Activate NOW! Big5 Casino 500 Free Spins Not Needed Activate NOW! 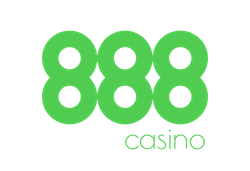 888Casino £888 No Deposit + £100 Not Needed Activate NOW! Casino.com 200 Free Spins Not Needed Activate NOW! PartyCasino $500 + 20 Free Spins WELCOMEBONUS Activate NOW! 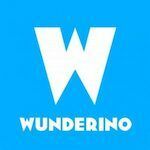 Wunderino Casino 2x the Deposit + 30 Cash Spins Not Needed Activate Now! Omnia Casino 50 Free Spins Not Needed ACTIVATE NOW! 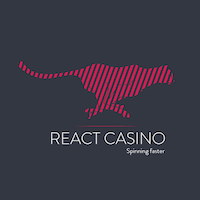 React Casino Up to 1,000 Free Spins Not Needed ACTIVATE NOW! Lady Hammer Casino 20 No Deposit Free Spins Not Needed ACTIVATE NOW! Casino Superlines Up to €1,000 SMASH200 ACTIVATE NOW! 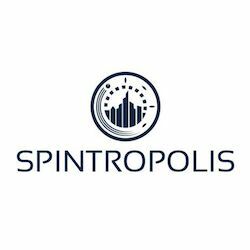 Spintropolis 20 Wager-Free Spins SMASH100 ACTIVATE NOW! 24Bettle EXCLUSIVE No Deposit Offer Not Needed Activate NOW! PokerStars Casino 200% up to $500 WELCOME200 Activate NOW! Yako Casino 242 Free Spins + $333 Not Needed Activate NOW! LuckyDino 100 Free Spins + €400 Not Needed Activate NOW! 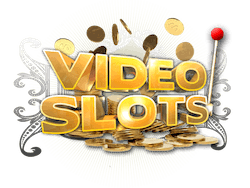 VideoSlots 11 Free Spins + €200 Not Needed Activate NOW! 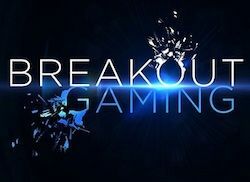 Breakout Gaming 20 Free Spins + €250 Not Needed Activate NOW! 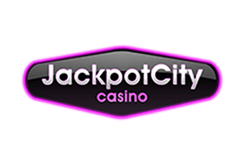 Jackpot City 100% up to $1,600 Not needed Activate NOW! PlayAmo 100% up to €/$100 + 100 Free Spins FIRSTDEP Activate NOW! Energy Casino 100% up to €200 Not needed Activate NOW! LeoVegas 20 No Deposit Free Spins Not Needed Activate NOW! Let's have a closer look at the details of the biggest casino bonuses you can get to play for free in August 2018. In case you didn't hear this already, August 2018 is a great month to play Slot machine games at Slotomania as this website is literally showering new players with bonuses. Everything happens even if you don’t deposit anything. The games at Slotomania are free because you have a massive no deposit bonus to claim as soon as you sign up for a free account via this page. Want to know what I am talking about? Well, picture this. The latest casino bonus available to play at Slotomania in August gives you 10,000 free coins to play! The free coins are active as soon as you complete the signup process and you can use them to jumpstart your adventure at the largest online Slots site in the world. 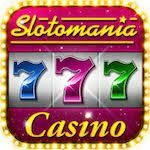 Slotomania is currently ranked as the best social casino site in 2018 and is 100 percent legal in the United States. If you don’t have an account there yet, make sure you open one right now so start with the fabulous no deposit bonus available in August. 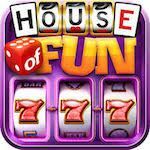 Not to be confused with the real money Slot machine with the same name, House of Fun is another great online casino site to discover in August. Currently sitting on the second spot in the list of the best social casinos in the world, House of Fun is one of the top options for US players looking for a good site and a good casino bonus. This month, you have a no deposit bonus that lets you play with 1,000 free coins as soon as you sign up. To receive the offer, you need to request the bonus via this page. Remember: there are no bonus codes available in August. Simply use the special signup page linked from this article and register for a free account and the bonus is immediately yours. Let’s face it - when it comes to casino bonuses…size matters. After all, how often does a casino give away 10 million free credits to all players? Just open a free account via this link and the bonus will be yours right away. In all honesty, I don’t know if this bonus will available for very long. Based on my experience, I think this must be a crazy time-limited offer that might disappear any moment now. Even if I am wrong and this bonus stays - why not to claim now that it’s available? 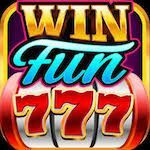 Win Fun is the perfect casino app for those who enjoy classic Vegas Slots. I downloaded this app on my iPhone back in April and I am still using it at least a couple of times a day. And trust me, only a very few casino apps ever lasted this long. This month, you can try the Win Fun Casino app with a nice 50,000 free coins no deposit bonus - meaning you get to play the best mobile slots for free. The offer is available to everyone who signs up via this special page. If you are into the old-fashioned three-reel Slot machines, do not hesitate and claim the bonus right away. I know you will love this game. Otherwise, if modern video slots are more up your alley, I think August is the right month to grab the latest casino bonuses to play at House of Fun and Slotomania. Chumba Casino is one of the very few portals that still offer real money casino games in a legal environment. Although the site might need a revamp, the games available are pretty good and the fact you can play to win real money makes everything a lot more exciting. This is possible because they use a smart system of sweepstakes that you can change into cash after you win. By far the best attempt to survive the UIGEA and make US players happy. You can try the real money games at Chumba Casino with a free no deposit bonus. Click on the button below and follow the instructions on the screen to get the best bonus offer available in August 2018 - a free $2 no deposit coupon to play. In case you didn't hear this already, August 2018 is a great month to play at Mr. Green Casino as this website is literally showering new players with bonuses. Everything happens on your deposit - but there's so much waiting for you that a deposit sounds like a very good investment to make. Well, picture this. The latest casino bonus available in August at Mr. Green gives you 2x your deposit up to €100 in free money and 200 free spins!. The free spins are 100 to play on Starburst and 100 (20 a day for five consecutive days) more to play other slot games. Do you see why this is a crazy-good bonus this month? One of the best things this month, is the new deposit bonus package available at King Billy, the winner of last year's Best Mobile Casino Operator award. As the latest casino no deposit bonus codes they had available on the site have expired, all the attention now is on one of the biggest casino bonuses you can get in August 2018. 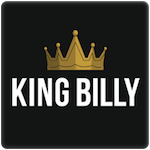 King Billy welcomes new players with not one but four bonuses for you to get the chance to play much as you can and discover one of the top casino sites in 2018. The four-part offers begins with a 100 percent bonus for up to €2,000 and 200 free spins on your initial deposit, provided you sign up for an account via this page. Then, the casino gives you some extra freebies each time you deposit more. There's a 50 percent bonus of up to €200 matching your second deposit and a 25 percent one for up to a free €300 matching your third and fourth ones. Lord of the Spins is a new Slots site with lots of great games by developers like Fugaso and Betsoft. Right this month, the casino is running a number of very interesting promotion that I think you should consider if you are looking for the best casino bonus offers to play in August. The first bonus you get at Lord of the Spins is a simple match one that triples your first deposit up to a maximum of €2,000 and adds 50 free spins on top of that. While a 3x match is always a good bonus offer, that's definitely all this casino has to offer. This way, you are going to receive five free spins every day, for a whole month. Remember: you do not need to use any online casino promo codes or players reward cards to access this promo. Simply open the live chat and ask the customer support agent to do it for you. Many consider this the definitive slot site and although I have a far less positive opinion about Casumo Casino I am not going to deny it's a pretty good online casino. If you want to experience their gasified interpretation of online gambling, this month you get a pretty fair bonus package with 20 no deposit free spins. The free spins are yours on registration (use this page to opt-in) and come with a 30x wagering requirement. 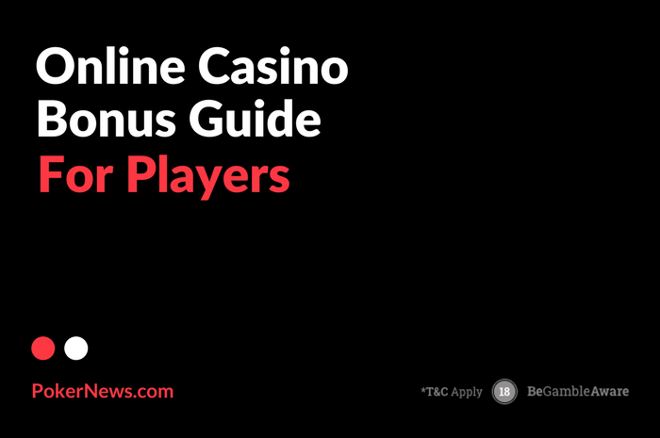 Also, this is not the only casino bonus available at Casumo Casino in August 2018, as this site doubles your deposit for up to £300 the first time you throw some money into your account. Not only this casino is a new entry in our list of the latest casino bonuses, but it' also one of the most generous ones on this page. While you should read this page to know more about the room, the button below gives you access to a stunning 400% bonus that worth up to €1,500 on your first four deposits. €1,500 is a lot of money so - if you are in the market for a new casino, this is the one you want to start from. 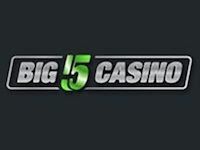 Speaking of new sites, Big5 Casino is another noteworthy one…especially because the bonus they offer in August features a a lot of free spins. 500 free spins, to be exact. Ideal for any slots player, this is one of the easiest casino bonuses to get in August 2018 as you can use your Google, Facebook, and Twitter account to join the band and play. I find hard to believe that anyone with an interest in gambling does not have already an active account at Casino.com but - hey! If you don't, you are a very lucky player. In August, Casino.com's latest bonus gives you the opportunity to play with 200 free spins and lots of free money on your first deposit. The free spins bonus at Casino.com does not require any bonus codes, provided you use the links I included on this page. Being one of the largest and most respected online casinos in the world, Casino.com is a room that needs little to no introductions. They offer a state-of-the-art software, all the best slots games you could ever ask for, and a stunning live casino section. And 200 free spins is their latest casino bonus. Not bad! The casino site of the second-largest online poker site is an operator that needs no introduction. Keep this in mind: the same greats 888 did to grow their poker site make their casino offer amazing. 888Casino features the best slots, great live dealer games, and the largest no deposit bonus in August. Because you can get up to $888 in no deposit free cash. The first bonus connects to 888casino's Wonder Wheel and it's a no deposit one. Sign up and spin the wheel to reveal your bonus. You can win up to $888 in free play money with bonus wins capped at $500. The second bonus kicks in with your first deposit and it's more traditional 100% match bonus of up to $100. You can use your Welcome Bonus to play slots, jackpot games, and live casino games. You can check terms, conditions, and requirements connected to this huge bonus offer on this page. Wunderino is now a well-established casino site with a loyal user base and lots of very high quality games. If you don't know what I am talking about and you still need to discover why so many people opened an account here, August is the right month since they have a good bonus offer for you. Sign up via this special page to start with a 100 percent match bonus + 30 cash spins. The spins are for great Slots like Starburst, Aloha! Cluster Pays, and Lights and you get them over the span of three days. There are no bonus codes to claim this offer. Simply use the links on this page to sign up and everything will be yours as soon as you confirm your email and make a deposit of €10 or more. 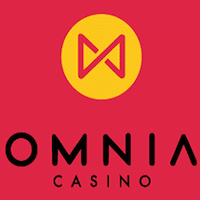 Personally, I find Omnia Casino to be one of the most interesting new casino sites you can play online in August. Everything in this casino is different, and you only need to open the site's homepage to understand how much. All in all, Omnia Casino offers a fresh and modern take on online gambling, with lots of games featured on a great platform that works also on mobile with dedicated apps for iOS and Android. Need the latest casino bonus to play at Omnia Casino? The links I added on this new bonus page guarantee a match bonus of up to £100 and 50 free spins to play Twin Spin, making this is one of the top new casino sites to try this month. Our page dedicated to the best no deposit bonus codes and deposit bonuses to use in 2018 begins with one of the best casino bonuses you can get in August 2018: the 1,000 free spins package available at React Casino. This online casino site gathers more than 1,600 different games from top developers like NetEnt and Microgaming and features some of the best titles you can play right now. When I reviewed the site, I found 176 variants of video poker and more than 150 table games, making it possibly one of the most complete casino platforms available in 2018. Also, this huge free spins bonus that gets you up to 1,000 free spins to play NetEnt slots can be combined with all the other promos running on the site, including the 10% cashback on your gambling losses. One of the best casino offers of the month is the one available at Lady Hammer Casino, a gaming site not many know yet. This beautiful new casino site is trying to attract new players through an aggressive promo policy, which makes it one of the best casino with bonuses to play in August 2018. Everything begins with a 20 free spins no deposit bonus on signup. The free spins are for the Slotomon slots game, a new title developed by Bgaming. Once you have used your no deposit bonus, you can then work your way through a very generous package that earns you €400 in bonus money and 130 free spins. The package is split in three parts, giving you three different bonuses on your first three deposits. In case you don't know this casino room, Lady Hammer features games from NetEnt, Evolution, Microgaming, Isoftbet, Yggdrasil, and Betsoft Gaming for a total of more than 2,000 slots! 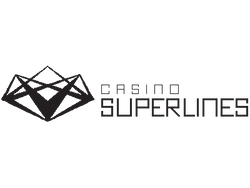 If Casino SuperLines is one of the top gambling sites to try in August 2018, this is also because of their latest casino bonus. The latest casino bonus code to get free money to play at CasinoSuperLines is SMASH100. Now, this is a good new bonus to get in August. Spintropolis is a new casino site with a lot of fun slots games - like Trump It, and they just launched a pretty good bonus. In August, you can get €1,000 in free money and 20 wager free spins if you sign up for an account on this page and make one deposit with the bonus code SMASH200. The site is one of the up-and-coming new kids in the gambling industry so you should take it for a test drive. All the games are available in free play mode. You don't need to deposit anything unless you want to play for real money. These simple steps earn you a 100 percent match bonus of up to €1,000 and 20 wager free spins to play Book of Dead. That's the new slot all Book of Ra players love. Being one of the best gambling sites of 2018, Spin Palace features the best casino bonus available in August with up to €1,000 for you. The grand on tap is split across three bonuses, with the first one being a nice 100 percent match one for up to €250. Play with twice the money! Once you finish with this bonus, you can get up to €750 more with your second and third deposits. The second bonus is a 25 percent match that nets you up to €300 in bonus funds, while the third one is a 50% bonus for up to €450. Spin Palace features one of the best gaming offers in the industry. If you want a room with fun games, a good platform, and a stellar customer support service - go for it. 24 Bettle: Start with a NO Deposit Bonus! There's nothing better than a new casino to start the new year. 24 Bettle Casino launched only a few months back. They are one of the safest bets of 2018 as they combine a modern platform with a stunning portfolio of games. They have an exclusive no deposit bonus for all PokerNews players! You can play at this site with 24 no deposit free spins at Gonzo's Quest, Starburst or Twin Spin. You get also €1,200 in bonus money aextraitional free spins on deposit. The offer is valid also if you choose the quick sing up option here and open an account using your Facebook or Google accounts. This is not the first time we speak about PokerStars Casino here on PokerNews. I am sure there's no need to say a lot about this online gambling site. Being part of the Stars Group, aka. the group that owns our site, we are able to give you bonuses that no one else has access to. In August 2018, you can play games at PokerStars Casino with three different bonuses. And if you are lucky, you can become $1,000,000 richer - overnight! This earns you an instant casino bonus of 200 percent your deposit (up to a maximum of $500) and 10 free spins to play real money slots. this appears to be the best bonus to play NetEnt and Evolution Games casino games. Remember: you need to use the August PokerStars Casino promo codes. Note: This is your only chance to play Millionaire Island, the spectacular PokerStars-exclusive slots with a GUARANTEED $1,000,000 jackpot! You can visit this page for a full list of the Terms and Conditions connected to this August casino bonus. SlotsMagic offers the ultimate casino bonus for slots players. If you are planning to play slots in August, you better use the bonus code that gets you free spins for one entire year. Slots Magic's platform looks a little outdated, but they feature everything a player needs to enjoy online casino gambling. They have great games and superb promos. In August, for example, you can get up to €100 and 570 FREE SPINS by using their latest promo code. The Y520 promo code guarantees you a 100% match deposit bonus of up to €100. 10 free spins are yours every week until August 2018! The free spins arrive on Thursdays or Fridays and last for 24 hours. 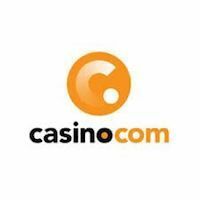 Being one of my all-time favourite, Casino.com is a site I tend to feature in about every list of casinos I create. They feature more than 250 games on one of the leading platform in online gaming. This siteoffers all the best slots in the industry as well as some of the best live dealer casino games. The Casino.com latest bonus available in August is massive. Not only you get a match bonus that triples your deposit up to $400 in cash, but also 200 free spins! You can use their latest casino bonus to play from your mobile (Casino.com comes with one of the best mobile casino apps for iPhone) Age of Gods, the great new slots that took the industry by storm. August Special: NO DEPOSIT Free Spins! Sign up for a risk-free account through PokerNews this August, and play Age of Gods with 20 no deposit free spins! For more info about this exclusive August casino bonus, visit this page. Not everyone love the mainstream brands. Some of us love the underdogs, so let me present you the best underdog casino bonus available in August 2018. Yako Casino is a solid operator launched back in 2011. They operate with gambling licenses issued by the Malta Gaming Authority and the UK Gambling Commission. Sign up for a free account to access games from NetEnt, Microgaming, Evolution Gaming, and Amatic. Make a deposit, and get ready to rock with the 242 free spins and $333 on tap in August. The bonus package available in August features 20 NO DEPOSIT free spins, a 100% match bonus of up to $333, and 222 free spins on Starburst. As a poker player, I am sure you don't need me to spend any words to introduce you to PartyCasino. The casino arm of the PartyPoker family is a great site where you find everything you need to have fun and win big. PartyCasino August bonus is great to discover a site that players consider to be one of the best in the world. Their latest casino bonus gives you rewards on the first three deposits for a total of up to $500 and 20 free spins on Melon Madness Deluxe. If you want to know all the details about the Terms and Conditions connected to this offer (incl. the wagering requirements), you can visit this page. Here's the second outsider to make it to the top 10 list of the best casino bonuses in August 2018. Lucky Dino offers the fastest payouts in the industry and is home to the best slots games. If you want to play Netent's newest game Finn and the Swirly Spin, you need to get yourself a free account at Lucky Dino. Their August casino bonus is pretty good, too. 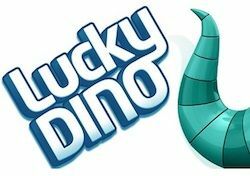 With a no deposit taster, up to €400 in bonus cash and 100 free spins, this might be the best time to discover Lucky Dino. The bonus comes in two installments released after the first and the second deposit. All anticipated by the 7 free spins no deposit bonus that comes as soon as you open a free account. Enjoy twice the money and 50 free spins! To know all the details about the Terms and Conditions connected to this offer (incl. the wagering requirements), you are welcome to have a look at this page. This month, VideoSlots is the perfect place to combine a rich bonus package with some of the best casino games. They offer the largest no deposit bonuses in August and a great deposit promo that gives you the best bang for your buck. The no deposit bonus available in August is of 11 free spins. Play Rook's Revenge with 11 FREE spins! Then, there's the deposit bonus that you trigger as soon as you deposit €10 or more into your account. VideoSlots' welcome bonus is a 100% match bonus of up to €200 + €10 in free cash. You do not need to do anything to activate the bonus, provided you used the link above to claim the no deposit offer. The free €10 is an automatic bonus triggered by the deposit. Go to “My Profile” -> “My Bonuses“ to activate the match promo for up to €200 in extra bonus money. 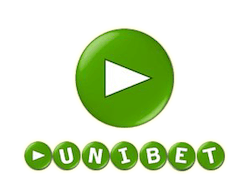 Unibet is home to one of the most respected and appreciated casino platforms in the world. The gaming hub of the Swedish giant counts more than 530 slots games and amazing live casino games. If that's what you are into, make sure you don't miss their August casino bonus. Enjoy twice the money for your games! Don't forget to read the bonus' terms and conditions before you use the bonus. You can find all the details on the Unibet Casino website. The list of the best casino bonuses available in August closes with a new casino site - Breakout Gaming. Breakout features a generous welcome bonus with incentives to play for a long time. Breakout Gaming is also mentioned in the list of the best Bitcoin casinos of 2018. As usual, the full rundown of the terms and conditions is available on their site. There you find also a section dedicated to Virtual Sports. In August 2018, BGO Casino continue to offer a 50 free spins bonus on a deposit of £10 or more. The free spins are without wagering requirements and with no cap on winnings. 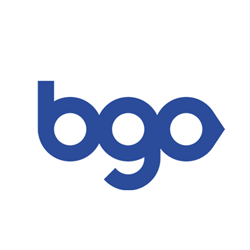 BGO gives you 1 free spin for each £1 / €1 / $1 you deposit. Make sure you don't go for the smallest amount if your goal is to get as many free spins as you can. For more information on the terms and condition of this free spins deposit bonus, check out the BGO Casino website. Almost every online casino offers a deposit match bonuses nowadays. So, how to differentiate from the crowd? Only with the bonus amount. And that's what Jackpot City casino does well. Because their deposit match bonus resembles a fixed jackpot. You can get $1,600 in casino bonuses. This bonus sum might seem unusual but it's not a joke. Jackpot City casino will double your deposit money. Not only the first time you deposit but first four times! Make a deposit and get double the money! Play, enjoy and make three more deposit to get a total bonus of $1,600. You can use this money to play one, ten, or a hundred games on their website. They have 400 of those, you won't get bored. 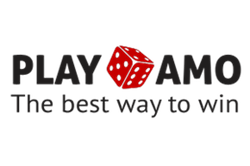 PlayAmo is a new casino but it stands out in a couple of areas. First, registration on the site is insanely quick – it takes only eight seconds. Second, their slot races are mind-blowing. You can win up to 4500 euros and 10,000 free spins every week in August 2018! Plus, their latest welcome bonus is the best of both worlds - 100% deposit match up to €/$100 AND 100 free spins. OR 50% bonus up to €/$2000 if you happen to be a high roller. Bonus code to use in that case is ‘HIGHROLLER'. Play the latest games with free spins and bonus money! PlayAmo is a casino to check out also if you want to play with crypto. They accept all the major currencies – bitcoin, ethereum, bitcoin cash, doge coin, and lite coin. There is no welcome bonus if you deposit with crypto but all the other perks of this casino still apply. Energy to play is not the only thing Energy Casino can give you. Deposit for the first time and it will double your deposit up to €200. More complicated part is choosing the games to play. EnergyCasino features the best and newest games. The top providers in the industry deliver them. If you want to try them all – make it a resolution to play one new slot per day. And you'll have enough slots for a couple of years! And by the time you're done with current ones, Energy Casino will have enough new slots for another couple of years. The fun never ends there. The smallest deposit amount is €10. 25x wagering requirements apply to the bonus money. After you claim your welcome bonus, reload bonus up to €200 will be applicable. Vegas part is clear but why Leo? Because LeoVegas is the king of online casinos! And LeoVegas doesn't want your money before it proves it to you. You only need to sign up to get 20 bonus spins. These spins are available for one of the most played slots – Book of Dead*. The best way to play 800 of LeoVegas games is on your mobile phone. The casino has an award of the best mobile casino product of the year. And one of the LeoVegas mobile wins keeps the World Record - $7.9M. I wonder if that phone survived winning such a sum of money. Or the owner just smashed it from excitement. LeoVegas is updating and adapting their welcome package based on countries, thus the bonus offer can be different depending on your location.